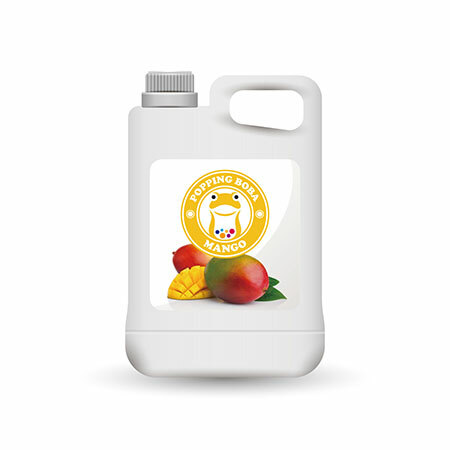 We are a technical Taiwan Mango Syrup manufacturer, factory, supplier and exporter. Depending on stable investment, superior competence and good after-sale service, we have made us as one of the leading manufacturers and exporters in the industry. We promise quality products and competitive price and on-time delivery for you. We have been establishing long-term business with our customers. If you are interested in any model of our products, please be free to contact us. Honey Mango Syrup is one of our special mango toppings. We produce it with real mango pulp as one of the raw materials so that it has strong mango aroma. Honey mango syrup has a rich taste of mango and is very suitable for using on various kinds of ice cream and desserts. Since our company had developed this product and has been widely popular with customers. It even attracted many international buyers'eyes and also have been inquired and tried to eat fervently by buyers in International Food Exposition. In order to keep it fresh, we are required to use the freezer compartment to store it. So it already has a cold taste while you are tasting it. The bright yellow color makes snow ice look delicious. Honey mango syrup is not only very eye-catching but also making other competitors to be unable to keep up the path with us. The most widely used markets are Japan and Korea. We welcome any other country representatives to come to visit us and discuss further distributing and purchasing plans. Honey Mango Syrup is blended with concentrated juice. It is suitable to match with a variety of fruit juice and tea. Honey mango syrup can be added with water or tea to dilute. Flavored fruit tea and flavored milk tea series are able to use this product as well. If you need it for a large number of goods and want to make any concentration, taste or color adjustment, please do not hesitate to contact us. We would deal with the products for you. Please keep it in a freezer compartment and the product can be stored for one year.